Did the Jews Kill Themselves at Masada Rather Than Fall Into Roman Hands? A servant of the American people, the new U.S. president, Donald Trump, will be visiting Israel next week on his very first foreign tour. 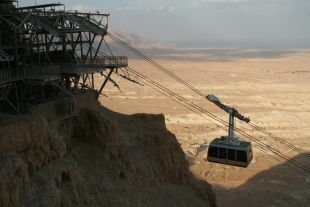 Among the rumored stops on his brief trip – later debunked – was Masada, icon of Jewish resistance. But is the story behind Masada and the suicide of the Jews cornered there, rather than capitulate to Roman hegemony, fake news? 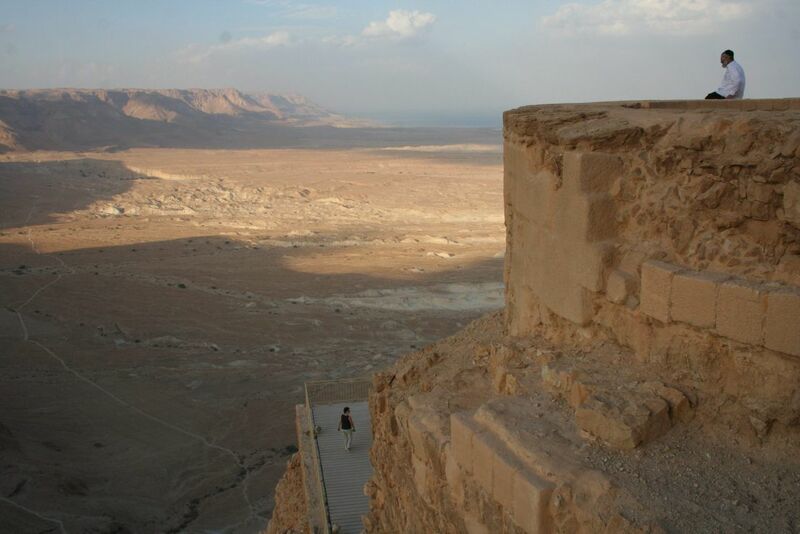 Every schoolchild in Israel knows the story of how Jewish heroes revolted against the pagan Romans, holed up in the desert fortress of Masada – and opted for mass suicide, killing themselves and their families, over capture and humiliation by Emperor Vespasian's forces. 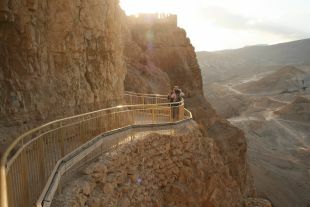 The story of the Siege of Masada was brought down the ages thanks to Joseph ben Matityahu, a.k.a. Flavius Josephus, once a commander in the Great Jewish Revolt that began in 67 C.E. who turned coat and became an advisor to Vespasian. He told of the defenders led by Elazar ben Yair and their decision to die rather than be taken. Josephus' account in “The Wars of the Jews” states that there were 967 people at the fortress of Masada. They had been waging a guerrilla campaign against the Romans, the historian recounted, but in 73 C.E., with the war all but won by the Romans, Flavius Silva and his legions arrived to complete the victory. According to the romantic story, to die free rather than live as slaves, the defenders each killed their own families, and then drew lots to determine who would kill their compatriots. Only two women and five children were supposed to have survived, by hiding. 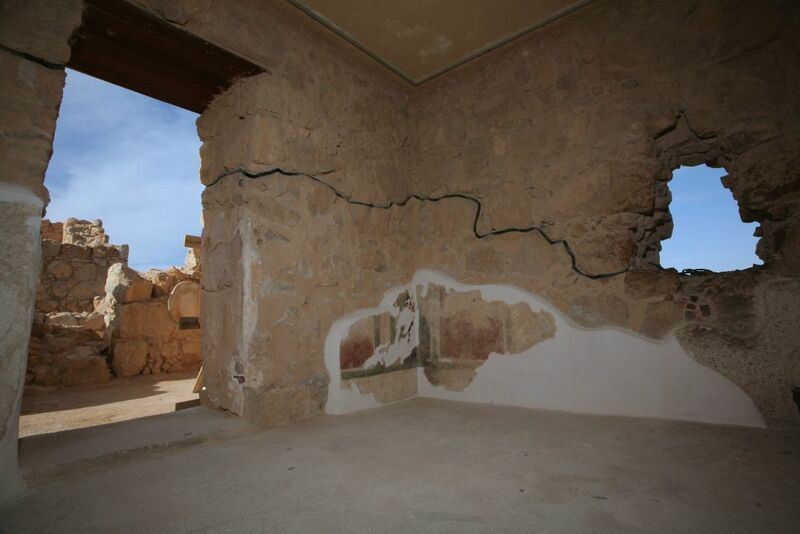 The late general and archaeologist Yigael Yadin, who led the 1963 excavations of the fortress built by King Herod, felt that the archaeological evidence supported Josephus’ account. However, despite the general acceptance of this account among Israelis as fact, scholars do not all agree. The truth is that Yadin’s excavations yielded little archaeological material to corroborate, or negate, the account of the siege laid out by Josephus. The finds remain open to interpretation. And the fact is that Josephhus' account remains the only one of the events on the windswept desert plateau by the Dead Sea. The excavators under Yadin were disappointed by how little they found to confirm Josephus’ account, admits Professor Nachman Ben-Yehuda, professor at Hebrew University in Jerusalem. He for one feels that Yadin modified his conclusions to support Josephus' version in his own book “The Masada Myth: Collective Memory and Mythmaking in Israel” (1995). 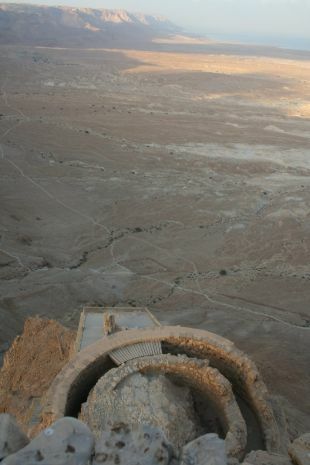 Among the items that Yadin found at Masada were scrolls, pottery, clothes, including a sandal, weapons that include arrow heads of indeterminate origin and slingshot stones, and Jewish coins that date up to the year of the siege, proving human occupation at the time. However, what these items do not prove, is what happened at Masada in 73 C.E. Haim Goldfus, professor at Ben Gurion University of the Negev, has long cast doubt on the existence of a siege. In fact he suspects there was no war there at all. "There is no evidence at all at the site of blood being spilled in battle," Goldfus told Haaretz in the past. Any tour guide worth his salt immediately points at the battery, otherwise known as the "Roman ramp," which the Roman soldiers were supposed to have used to position a battering ram to break through the fortress' massive stone walls. Nonsense, say some scholars. "It couldn’t have fulfilled the role attributed to it in breaking through the wall, because it was too narrow and small and couldn’t have been used by the Roman army to position a battering ram. In light of the finds in the area where the [Romans] broke through, we understood that nothing happened there,” Goldfus says. Other scholars argue in favor of tradition. Jonathon Roth of San Jose State University in California believes that a siege did take place, and that due to the height of the rock spur the Romans used as a foundation for their construction, they would have been able to construct their ramp in as little as four to six weeks. The siege would have been over shortly after that, Roth feels. 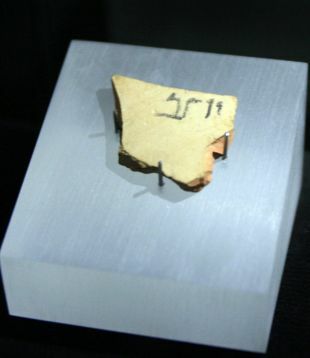 Yadin’s excavation yielded eleven pieces of ostraca, each inscribed with a name. “Ben Yair” was one of those names. This led Yadin, and some subsequent scholars, to conclude that these were the lots used by the defenders to determine who would kill the others. However, Josephus’ account says ten men were chosen, not eleven. And the existence of the ostraca does not shine any light on their purpose. Were the ostraca used, as Yadin said, to decide who would wield the knives, or were they used to determine who would stand watch or go out on raids? Or in an ancient game of charades? Though the first interpretation is tempting, unfortunately, no one can say for certain. 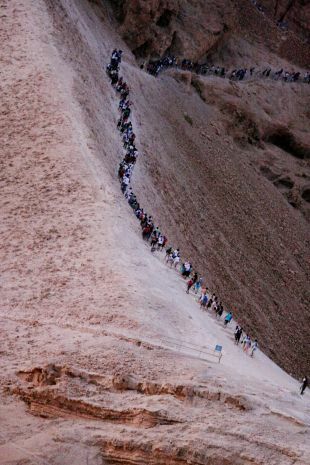 Despite Josephus’ account that 967 people called the fortress of Masada home in their final day, only 28 bodies were discovered by excavators, and only three were found in the palace, where Josephus said all were killed. While wild animals, scavengers, and weather could explain why more intact bodies have not been found, thus far there have been no signs of any other bodies. The missing bodies cast further doubt on Josephus’ account. 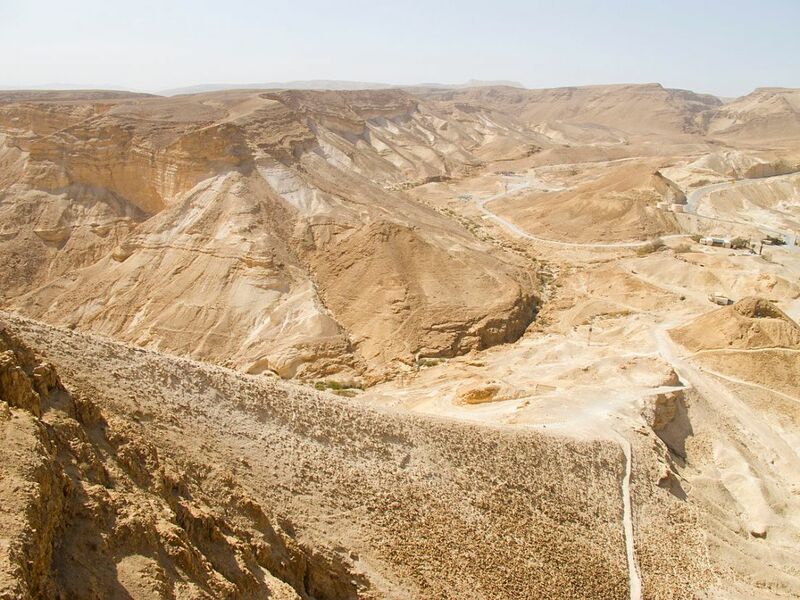 It raises the possibility that Professor Jerome Murphy-O’Conner, from Ecole Biblique, was correct: there was no mass suicide at Masada. Professor Yadin thought the remains had to be of Masada’s defenders and that the three found together were a family, perhaps the last defender who killed his men and his family and then finally killed himself. 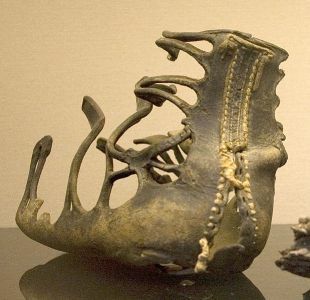 Yadin based his interpretation on the remains of armor found nearby, as Richard Monastersky wrote in 2002. However, an anthropologist on the excavation team estimated that the man was between 20 and 22 years old, the woman was between 17 and 18, and the child was 11 or 12. While the man and woman could have been a married couple, the child could not have been theirs. The other 25 bodies were found in a cave, which isn't mentioned in Josephus’ account, while the bodies he did mention just aren't there. Shay Cohen, professor of Hebrew literature and philosophy at Harvard University, suspects these remains were indeed of Jews hiding from the Romans, but not well enough, and they were killed. If so, that would contradict the account that the defenders of Masada were willingly killed by their own people to avoid capture by the Romans. Joseph Zias of Jerusalem’s Rockefeller Museum suggests another possibility. He believes that the remains could be those of Roman soldiers. This would fit with Yadin’s admission that he had found the bones of pigs with the remains. Dwelling with the swine would have been taboo for the Jewish rebels. However, Zias says, the Romans had no such constraints and also sacrificed pigs during burials. Fourteen of the skeletons found in the cave were adult males. Six of them were between the ages of 35-50 and had builds that were of a “distinctly different physical type from the rest,” Prof. Ben Yehuda told Monastersky. That begs the thought that some of the bodies belonged to Romans soldiers, who may have been killed during a fight for the fortress, or may have been part of the occupation force left behind after the siege. Unfortunately, the question of what happened to the remaining defenders is still unanswered. And if some of the few bodies belonged to Romans, killed in fighting for the fortress of Masada or otherwise, the story of a mass suicide becomes more questionable.